Also, I would like to say that since English isn't my first language, maybe you can see some mistakes in the post, sorry for that . 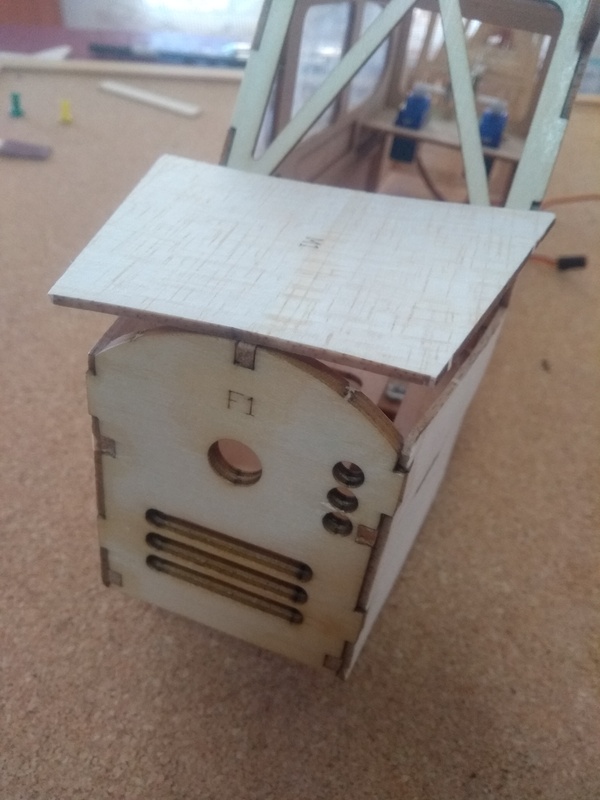 I'm going to start building it tomorrow afternoon (around 16 hours after I posted this). I'll see you then! PD: This is the manual the kit included, in case someone wants to see it. I'll be watching. 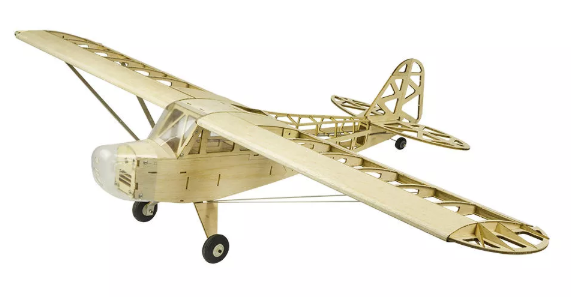 My first balsa kit build in 45 years was a Chinese kit, the Sunbird, so building it was like building my first. I got a lot of help here. You'll do fine. 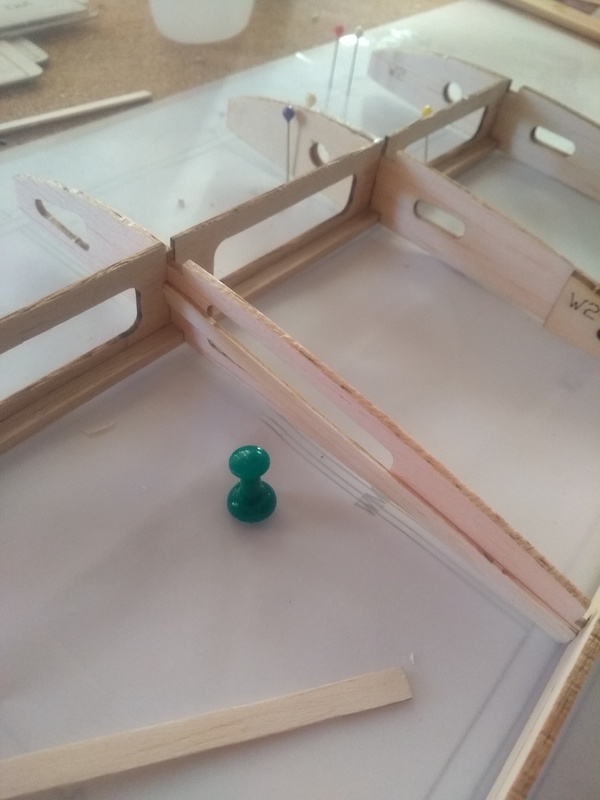 I've just started building it, but after glueing the pieces, the waxpaper gets glued to the pieces as well. Is that normal? Yep! If some glue seeps through it will stick to the wax paper. Good luck with you build!! 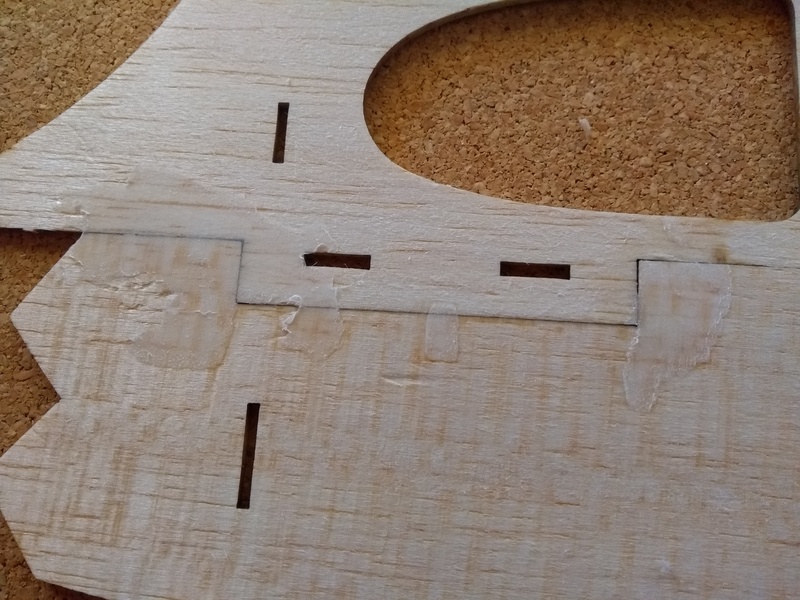 As crazy as it might sound, try using even less CA glue on the joints. 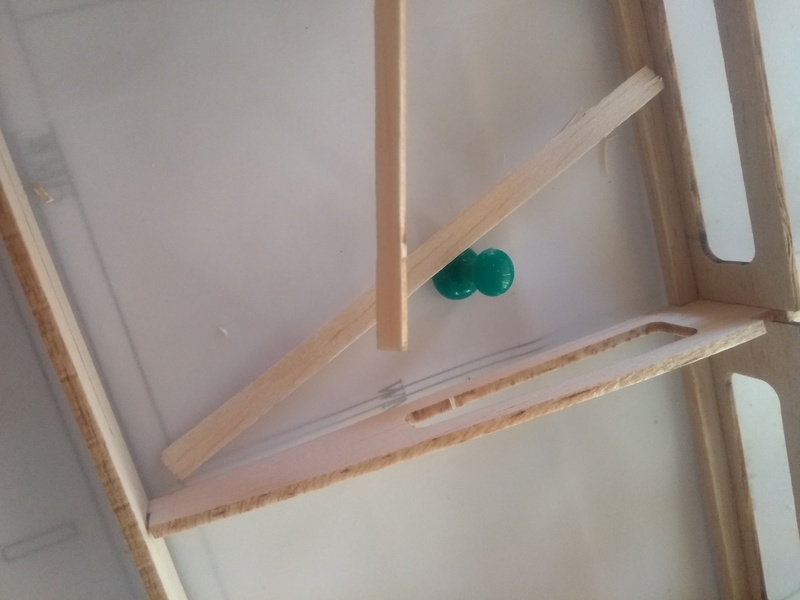 Using glue tips like the link below or make a small puddle of CA on the paper (or packaging plastic) and use a pin or toothpick to transfer the glue from the puddle to the joint. 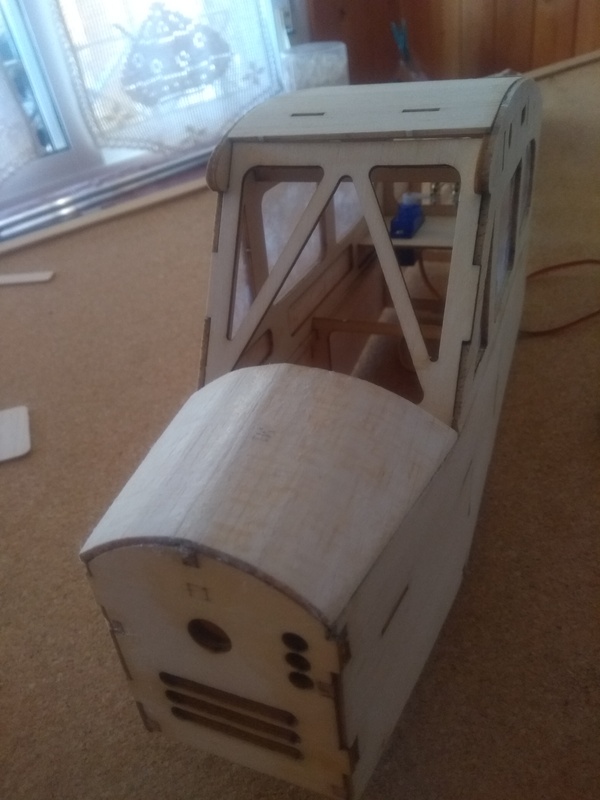 Thank you all for the help, I've almost finished the fuselage and I think looks good. 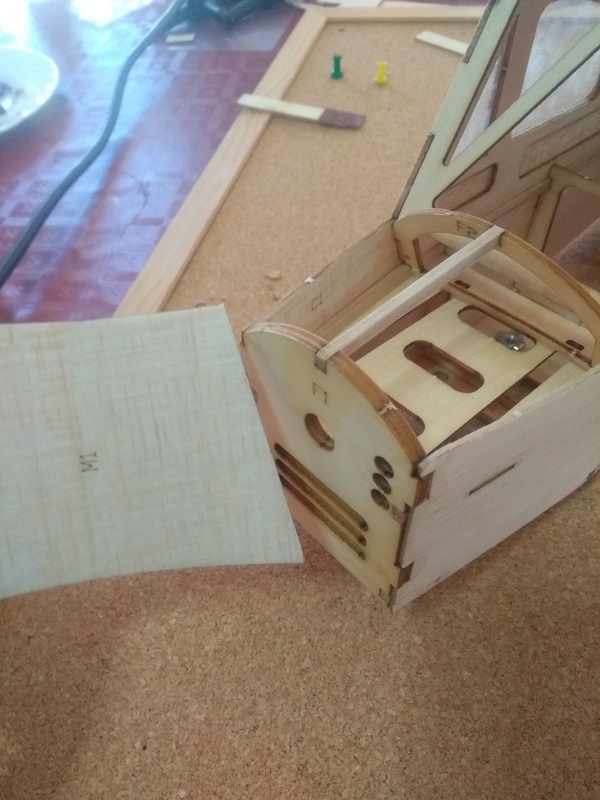 Now I have to make the left part of it and glue the strips! That'll happen. It'll sand right off. Be a little less generous with the CA glue. Like Rockyboy said, it doesn't take much. Use just enough to tack the pieces together and then go back and apply more after it's lifted off the waxed paper. Sorry for not answering, I had to go to do a few things. 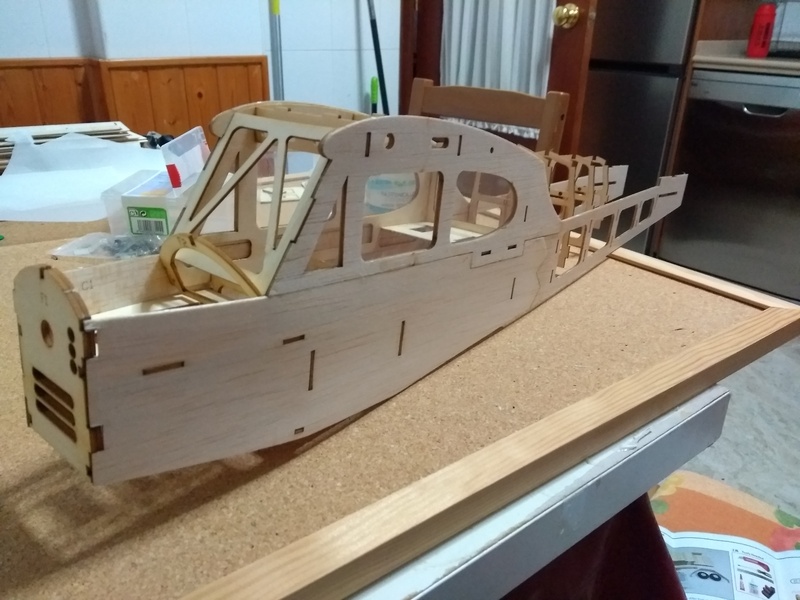 But good news, I've almost finished the fuselage. I just have to glue the formers to the left panel. Thank you, I will try to use less glue, but it's hard with my technique. I need to buy glue tips, as @rockyboy says. I need to buy glue tips, as @rockyboy says. That was what I wanted to get as my first build too but found FT right before I hit the buy button so that will have to wait for now. I will try to do it, thank you! I installed the 3x3mm bars. It's not 3x3 at all, more like 2x3 or 3x4. However, the holes in the formers have the same size, so it fits correctly, but I needed to make some of them bigger to fit the bars. You can see that in the right panel, the bar doesn't fit at all, but it still works. These bars were a bit more complicated to glue. 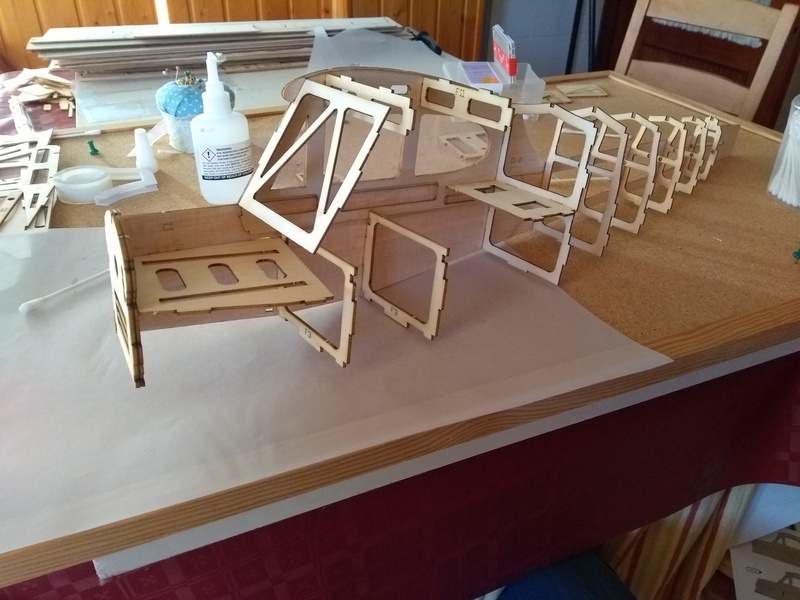 I think I should have use warm water to make them more flexible, before I glued them in the fuselage. I also installed the servos. The kit includes everything, I just needed 2 servos and the servo arms. Now I need to put this former here, but it doesn't bend too much. I'll use the water like I said before. Should I install the motor and the ESC now? Good question. 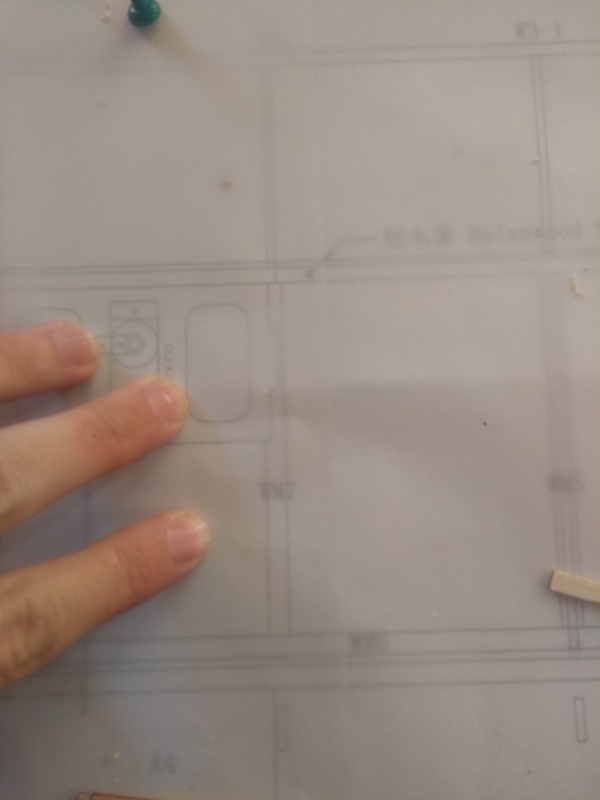 I looked at a build thread for another cub of similar size and they waited till it was covered. 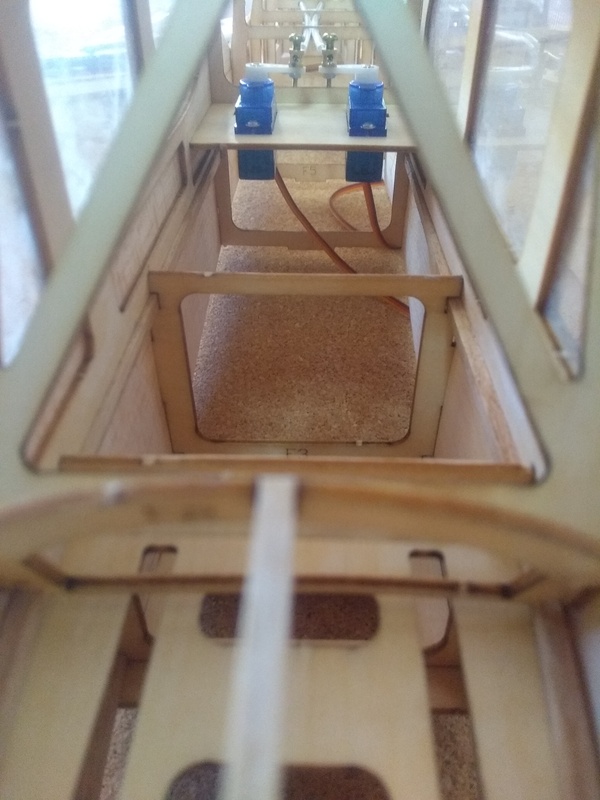 I personally always wait until I finish building the plane (minus painting) to install electronics, unless the design won't let me access the compartments after the plane is built. I think it's a mistake made by the one who designed this. In the photos of the instructions, plane doesn't have the WM pieces (not the small ones). Should I use them? Edit: I think I figured it out. The WM5 pieces have to be above the W3-1. That's why there's a small space in the top of them. But now I have another question. Where do I put this ones? Instead of WM5, they have WM7. I don't know what to do. 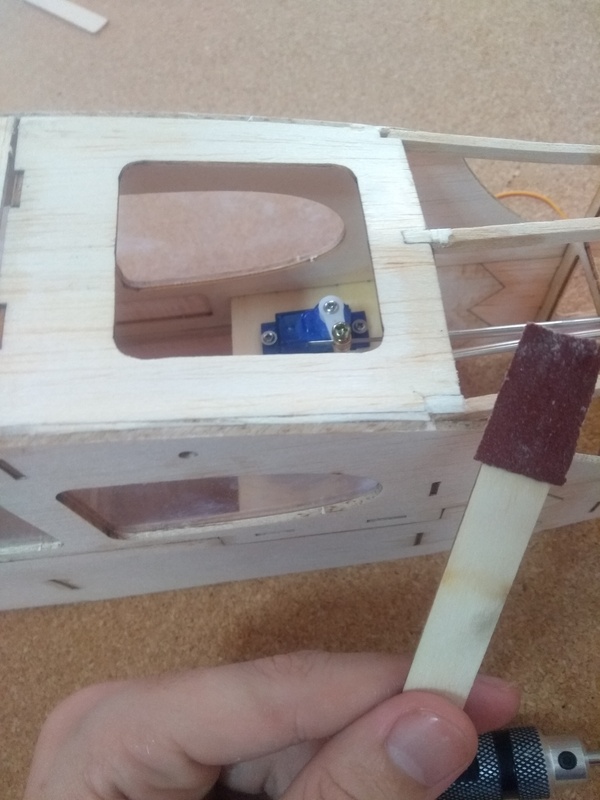 It's too late now, but you can also soak the balsa in Windex for a while. The amonia helps relax the wood so it can bend more without breaking. 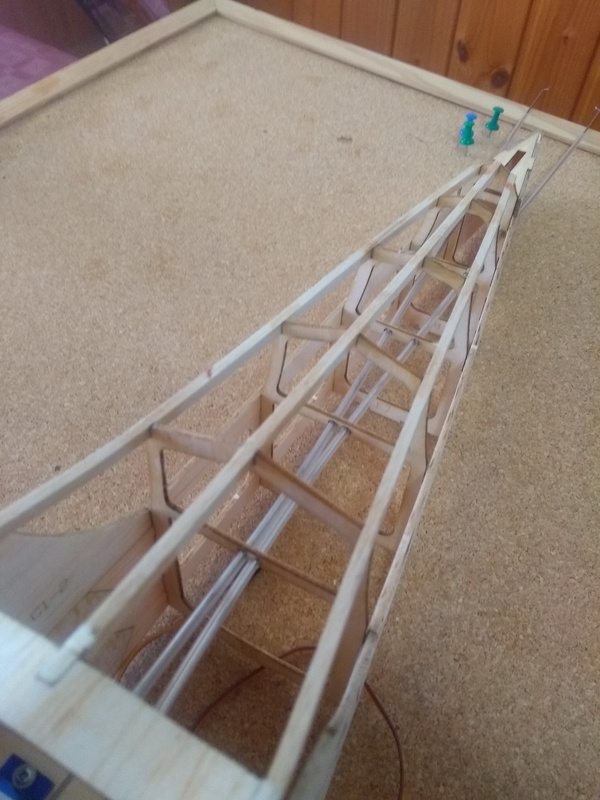 Once it's curved to shape on the fuselage you can secure it with rubberbands, painter's tape, etc. and set it aside to dry for a day. After it's dry you'll find it hold the shape without the bands or tape fairly well. You're moving along quickly, good work! Thank you! I didn't know I could do that. It's a bit late, but next time I will do what you said.